Patrick Reed would later tell reporters he didn’t think a stroke a side would be enough to give Mickelson a chance. Mickelson and Reed went out for a practice round with Woods and Bryson DeChambeau at Le Golf National, Tuesday. 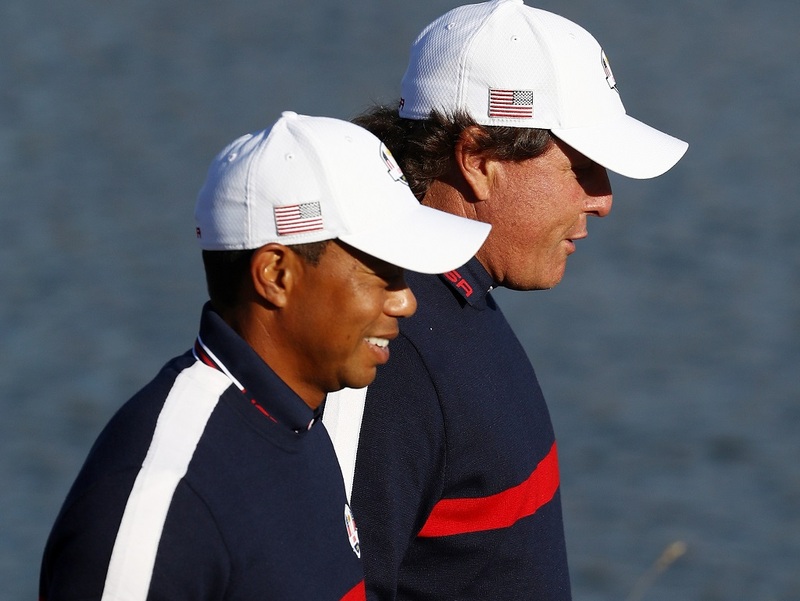 Mickelson also made the bold claim that Tiger Woods is swinging the club as well as he ever has. With respect to playing together at this Ryder Cup, Mickelson indicated he would welcome the pairing, although Captain Jim Furyk has remained mum. What do you think about Mickelson’s remarks, GolfWRX Members? Phil must of spent 1999-2000 wiped out on drugs if he thinks Tiger has never swung the club better. Tiger would of won 30 majors if they hadn’t started making toe up drivers. I like Patrick Reed’s remark about Phil needing more than one a side. It’s funny and cheeky. I think it is great Phil and Tiger’s relationship has changed for the better! As far as paired together this week at the Ryder Cup for selfish reasons I want to see it…winning would really quiet some critics. And yes losing a match would be terrible. IMO they can get it done…I’d like to see them in a four-ball match. To me the Ryder Cup is the best sporting event of all-including the Super Bowl. Looking forward to Friday…I’m watching it live going to need a lot of coffee!